Neutering can help prevent illnesses and some unwanted behaviours. If you wish to get your pet neutered the best thing to do is speak to your vet. They will be able to advise you about the cost and the best time to neuter your pet, you do not need to let an animal have one litter first. 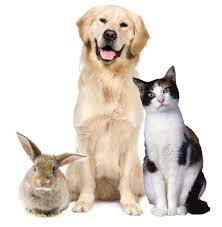 Neutering has benefits that apply not only to dogs and cats but also to other animals such as rabbits and ferrets. Neutering prevents females coming into season, when they may attract unwanted male attention, become pregnant or have false pregnancies. Neutering prevents the risk of testicular cancer in males and uterus infections and cancers in females. In male dogs and cats, neutering can reduce urine marking and roaming. Neutering can reduce aggressive behaviour in mature male ferrets, as well as the smell often associated with them! Neutering a female ferret can also prevent often severe health problems such as alopecia and anaemia. Unspayed female animals can be messy when they come into season – during this time, females can bleed for up to three weeks. Animals don’t respect family relationships – siblings will mate. This increases the risk of offspring with birth defects and deformities. Neutering animals can reduce the risk of them being stolen for breeding. Vet fees for problems during or after pregnancy and birth can be expensive. Offspring might need veterinary attention too. Owners have a responsibility to meet their animal’s needs under the Animal Welfare Act 2006. Pregnant and nursing animals need even more care, and their offspring will be equally as demanding. When the young are ready to be rehomed, you need to ensure that they are vaccinated, wormed and flea treated, which you will also need to be able to afford. Females are spayed – this means the womb and the ovaries are removed. Males are castrated – this means the testicles are removed. Operations are carried out under general anaesthetic and animals usually recover quickly. Neutering shouldn’t mean that your pets will put on weight- your vet will be able to advise on this.